The Royal Nest property combines modernity with simplicity and is situated in Sri Rama Colony Madhapur. This beautiful property is near Begumpet airport, Madhapur Bus Stop, and Bharat Nagar metro station. 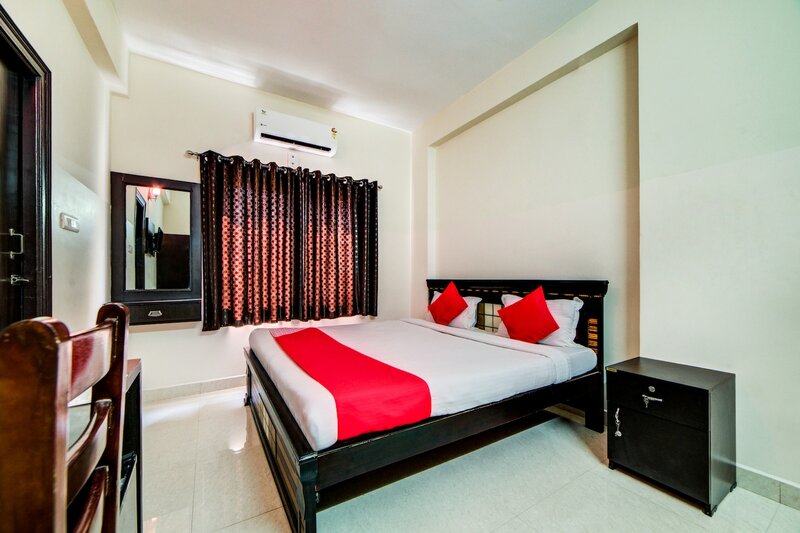 Golconda Fort, Shilparaman, and Hi-Tech Theatre are also nearby.This property has a pleasing and soothing decor. The rooms are clean and have modern wooden furniture. The dark color curtains complement the white walls. The bathrooms are clean and well maintained. amenities like AC, TV, Wi-Fi, fridge, and power backup are available in all the rooms and the bathrooms have geysers. Other amenities include an elevator, parking, card payment system, CCTV security, and laundry. Eating joints like Absolute Barbeque, Fusion 9, Chutneys, and Churrolto are nearby. The property also has NSL Centrum Mall within a few kilometers for shopping.